I’m sorry for not posting a Saturday Morning Motivation… honestly, my goal for this weekend was to keep a smile on my face no matter how many times people hurt my feelings (unknowingly and not on purpose, I hope)… and that seems like a lame motivation. Was my weekend as bad as I anticipated? Yes. But there were at least a few shining moments and my boyfriend is wonderful to me… so at least there was that! However, this is back to school week for my area! So even though I’m not going back to school this week, I thought I would dedicate a few posts to school because so many of my friends are teachers. So here is the first one, for the teachers! Good luck everyone! 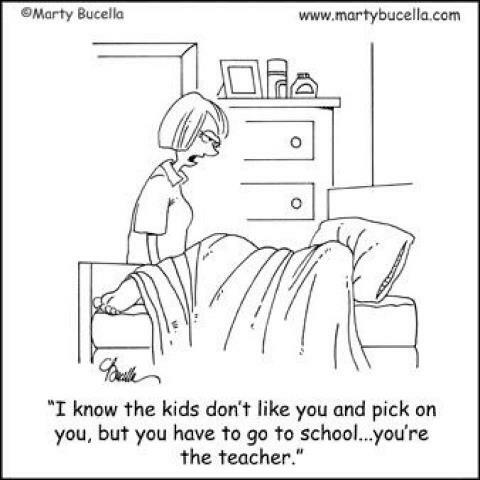 I hope you have a great school year! Hi! Have you found my blog because you’re one of the many people searching for motivation to go to the gym? Was it your New Years Resolution and now you’re second guessing yourself? Welcome! Last night, I finally returned to the gym after a short hiatus and I was thinking about all of the people who are starting to go to the gym this month after their own hiatus. Let me tell you, I was NERVOUS! If you’re not familiar with me, let me tell you about my own sordid work outs. 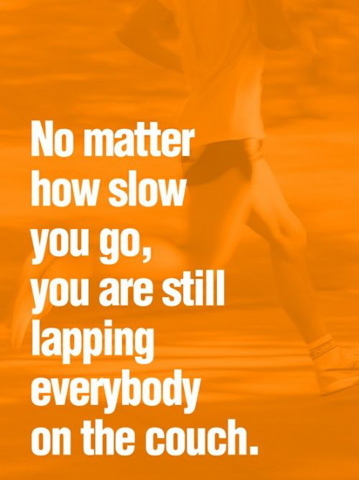 In December 2010, I started the Couch to 5k program… by myself on the treadmill at my gym. I made it about 5 weeks before school started up and I quit going to the gym. During spring break, I went back, I started around week 4 and made it to about week 7 before giving up again because life got in the way (and let’s face it, the treadmill isn’t that fun). When nice weather came around in June, I started running outside on a trail near my house. I loved it! 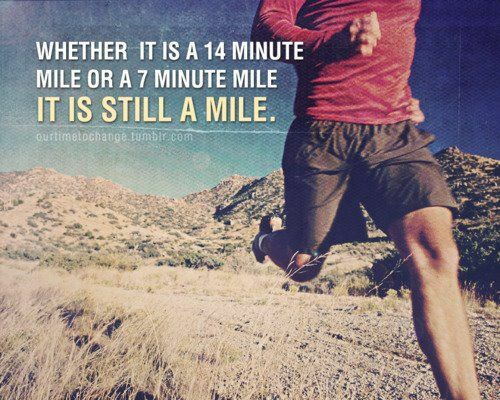 I ran when I felt like and I walked when I felt like it and I felt that people didn’t see me long enough to judge me. I still think the Couch to 5k program is great and I totally recommend it to people even if I wasn’t really able to finish the program per se… but I ran two 5ks last year… so I sort of finished the program, right? I never really considered myself a “runner” though. But I will own up to the fact that I wasn’t afraid of the gym anymore. While I was changing into my gym clothes, I was actually freaking out a little bit. How out of shape had I gotten? Would I make a fool of myself? Etc. And I had only been away for 41 days! I can completely sympathize with the gut wrenching fear one might feel after being away for a long time! So I want to offer you a few positive thoughts before you find yourself in a locker room, clutching your sock, wondering if you should just go home (that may be personal experience talking). Lots of people are starting out at the gym as resolutions. It’s not like you’ll be in a room filled with fit people and you’ll be suffering alone. Most of the people there will be new to the gym! You’ll all be starting out together! The treadmill blows! Even someone who is rocking it out, is mostly cursing out that they are on the treadmill at all, and they are cursing out the treadmill! You’re there for YOU! Not them, so don’t worry about them! Most people aren’t actually caring about you because they are thinking about their own workout. I wonder if the person next to me is thinking I’m doing a good job. Do I look good on this treadmill? I feel like I do! Yay, I’m not the slowest person in here ANY MORE! See? They’re all really about me, and I wouldn’t be surprised if other people were like that too. Please don’t feel that all eye s are on you… because they most likely aren’t! Don’t get discouraged! No one is judging you the way you think they are! I’ve been there: thinking everyone thinks I look like a fool. In reality, no one cares how you look! I’ve posted these motivational posters before, but they are my favorite, so I wanted to share them again. They are my gym mantras and I hope they help you out! Oh, and as a really sad note, I used to be able to run 5 miles without walking. Last night I could run 1 before needing a break. If you’ve had a hiatus, you might not be as fit as you once were, but if you still with it, you’ll be back to where you want to be!